Hanoi (VNS/VNA) - The Vietnam Urban and Industrial Zone Development Investment Corporation (IDICO) has released the list of criteria that institutional investors must satisfy to become a strategic partner of the firm. According to IDICO, the strategic investor is a private equity firm that should not be a bank, financial firm, limited liability firm or joint stock company that is owned fully or partly by the State. In addition, it should not be a subsidiary or an associate company of IDICO. The strategic partner must commit to hold onto the purchased stake for at least 10 years. If it wants to sell its stake before the due date, it must obtain at least 65 percent of shareholders’ approval. The strategic investor must provide evidence that proves it has operated for at least five consecutive years to the end of 2016 and its financial reports for the last three years between 2014 and 2016 make sure it is capable of purchasing at least 15 percent and at most 45 percent of IDICO’s charter capital. In addition, the strategic partner must prove its profits in the last three-year period are equal to 5 percent of total revenue, it should not have overdue debts, accumulated losses, non-performing loans or legal violations. If the strategic investor is a foreign investment firm, it must have 2.5 trillion VND (115 million USD) worth of total assets by the end of financial year 2016 and the owner’s equity must be at least 1.5 trillion VND. The set of criteria was approved by the Ministry of Construction late last week. IDICO has 3 trillion VND in charter capital and plans to offer 300 million shares at its initial public offering (IPO) at the par value of 10,000 VND per share. The company plans to sell 135 million shares or 45 percent of its charter capital to a strategic investor; 55.3 million shares or 18.44 percent of the capital will be sold at public auction; and nearly 1.7 million shares will be sold to the company’s employees. After the IPO, the Government will hold 108 million shares, equal to 36 percent of the company’s capital. The Government is expected to complete its divestment from IDICO by the end of 2018. 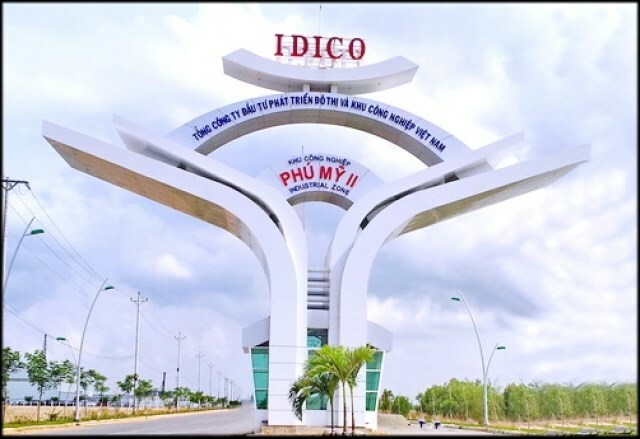 According to the business news site cafef.vn, the IPO of IDICO is expected to lure big attention from institutional investors because the company is developing a number of industrial park (IP) projects across the country. IDICO is managing and operating 17 industrial parks in Vietnam with total area of 7,000ha and total investment of 10 trillion VND. Those projects include Nhon Trach 1 IP with total area of 448.5ha, Nhon Trach 5 IP with total area of 309.4ha and Phu My 2 IP with total area of 602.4ha in the southern region; while it is investing in the Que Vo 2 IP in the northern province of Bac Ninh, which is designed with total area of 572.5ha. According to analysts, developers of IP projects will benefit more from stronger inflow of foreign direct investment (FDI) into Vietnam, therefore, those developers will draw high attention from investors as they have huge potential in this sector. At the moment, a number of IP project developers are listed on the stock market such as Nam Tan Uyen JSC (UPCoM: NTC), Long Hau Corporation (HOSE: LHG), Sonadezi Long Thanh (HOSE: SZL) and Tin Nghia Industrial Park Development JSC (HOSE: TIP).